The timescale for the significant improvement works being carried out at Poole Bridge is to be extended due to consequential underground obstructions. The significant improvement works being carried out at Poole Bridge, as part of the major investment in Poole’s infrastructure by Dorset Local Enterprise Partnership, are continuing but the timescale for works is to be extended. So far the contractor, Interserve, has demolished the worn out approach spans, abutments and footpaths – the parts of the bridge that carry traffic from the land to the main section of the bridge (the green copper towers which are over 85 years old). The new Poole abutment has been constructed and the piles for the new piers have been installed. Over half of the repairs to the retained steelwork are finished and the off-site fabrication of the new steel beam supports is nearing completion; the beams will support the new road spans and carry traffic over Backwater Channel. The installation of the new wider walkways around the towers has started and the replacement of the old control system is also underway. 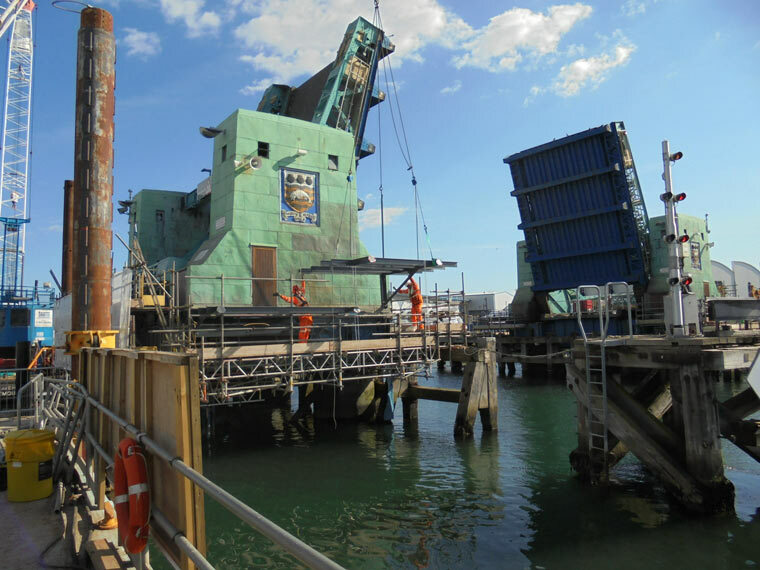 Julian McLaughlin, head of Growth and Infrastructure, Borough of Poole, said, “This is a difficult and challenging project and although Interserve has achieved a lot since the bridge closed in September, some elements of the project are behind programme. As a result, the temporary bus service arrangements for lower Hamworthy have been extended to the end of July. A revised lifting schedule for Twin Sails Bridge has also been agreed for to reduce the disruption to mariners as far as possible. Cllr Drew Mellor, cabinet portfolio holder for Transportation, Borough of Poole, said, “We are fully committed to ensuring Poole continues to benefit from a two-bridge system to safeguard the future economic growth and employment opportunities in Hamworthy.